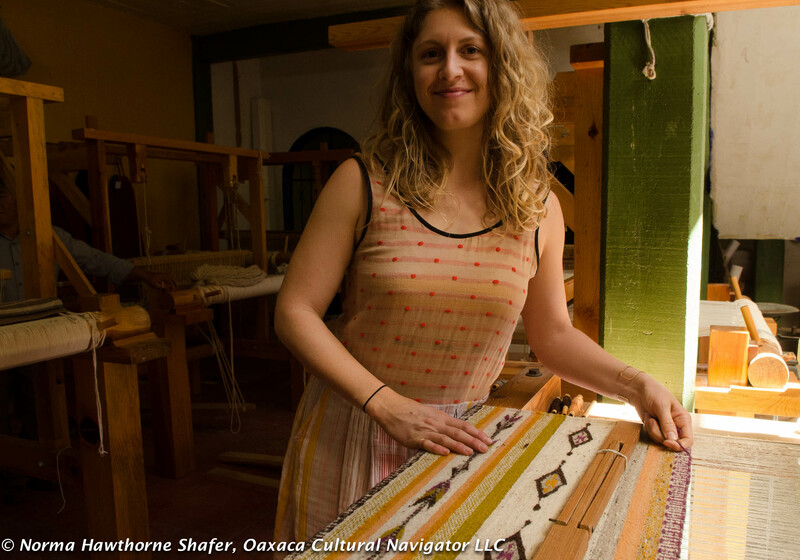 This entry was posted in Oaxaca rug weaving and natural dyes, Teotitlan del Valle, Textiles, Tapestries & Weaving, Workshops and Retreats and tagged class, lessons, Mexico, natural dyes, Oaxaca, seminar, tapestry, Teotitlan del Valle, weaving, workshop. Bookmark the permalink. Hi there! Would you be available to teach a private workshop to 3 people on any of the days between feb 4-7? 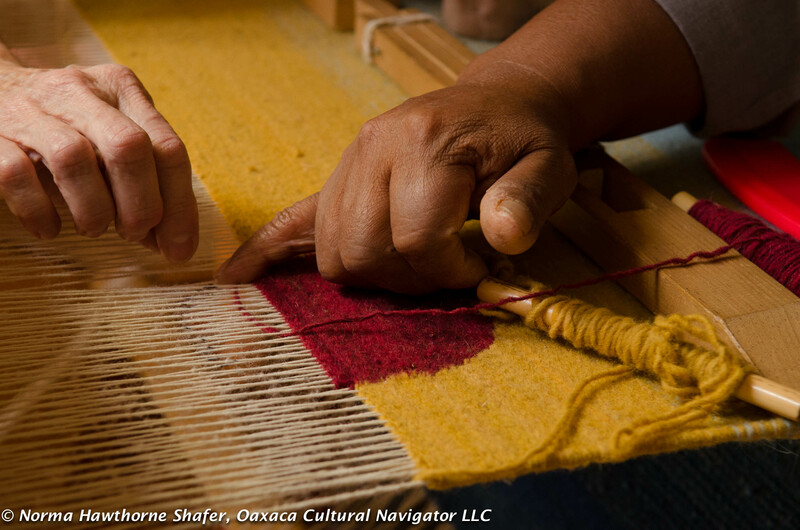 I am really interested in learning about weaving during my short stay here in Oaxaca! Please let me know if this is possible for you:) also, please let me know what this would cost per person. Thank u so much! 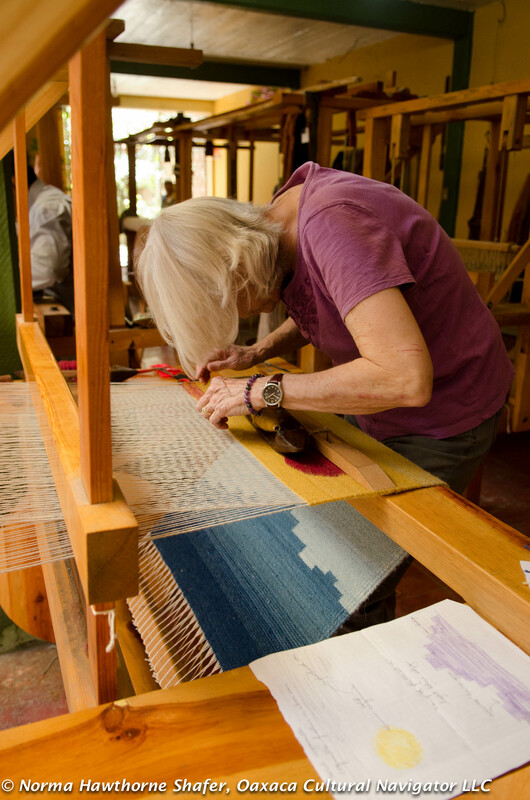 We offer a 4-day weaving workshop in Teotitlan del Valle. 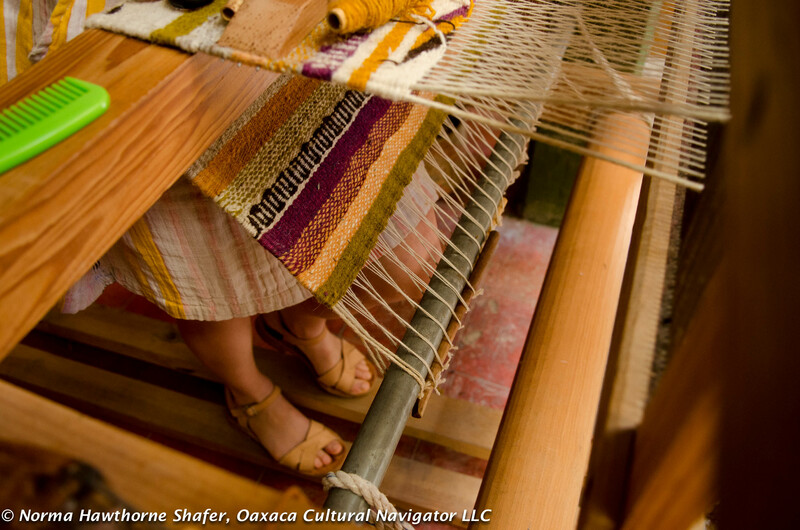 Go to our website http://oaxacaculture.com and the program link is in the right column. Thanks so much. Hello! Is this program still available? Do you provide any accommodations ? I will be in Oaxaca next week and would like to know if there is any availability for a workshop from Tuesday to Friday (August 15 to 18). Thanks! please give info for workshops in 2018. thanks. Hullo, would you email me please – I want to connect with you about a tour. Thanks so much. Will there be any workshops offered in November 2016? Just wondering if the workshop will be available. Anxious to finalize arrangements. 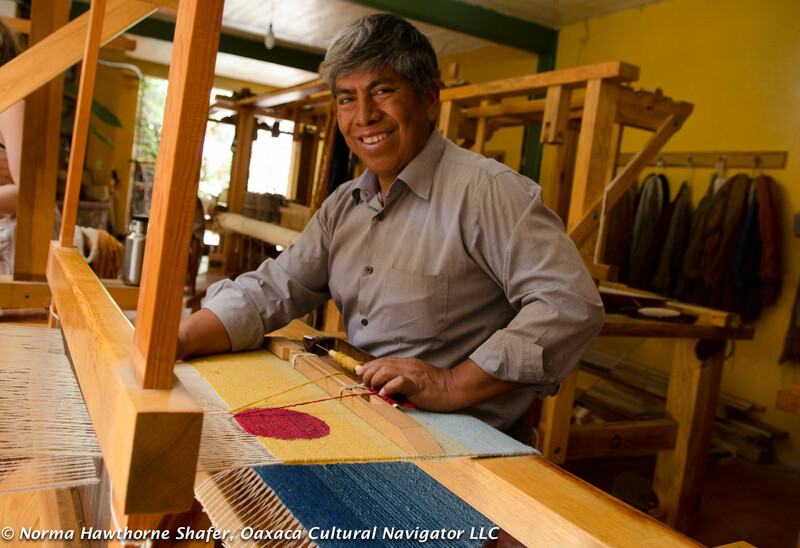 unfortunately I have been unable to travel in February, but I will be in Oaxaca on March 14 until March 24. 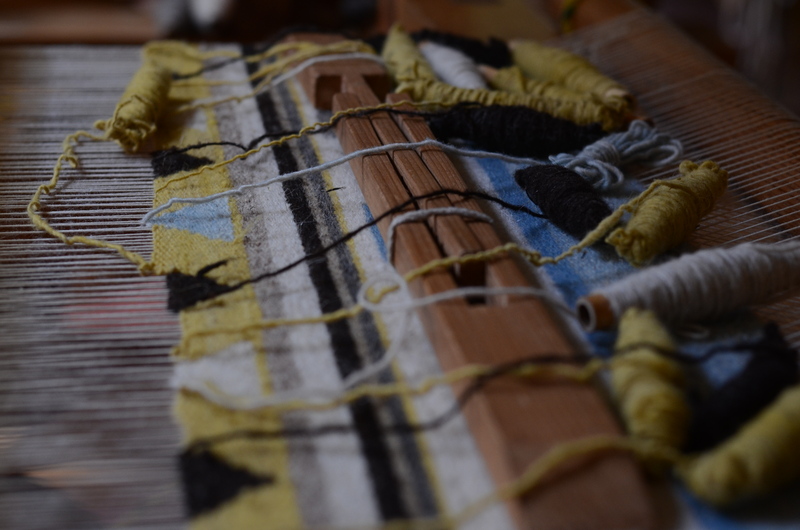 Is it possible to arrange the weaving workshop during this time? I am also interested in the 2 day dye workshop. I sincerely hope that this will be possible. As an intermediate weaver I am interested in attending the weaving workshop in late Feb or early March. My time is flexible so would like to join others who may have registered. I will be travelling from Vancouver, Canada and hope to enjoy some warm weather. 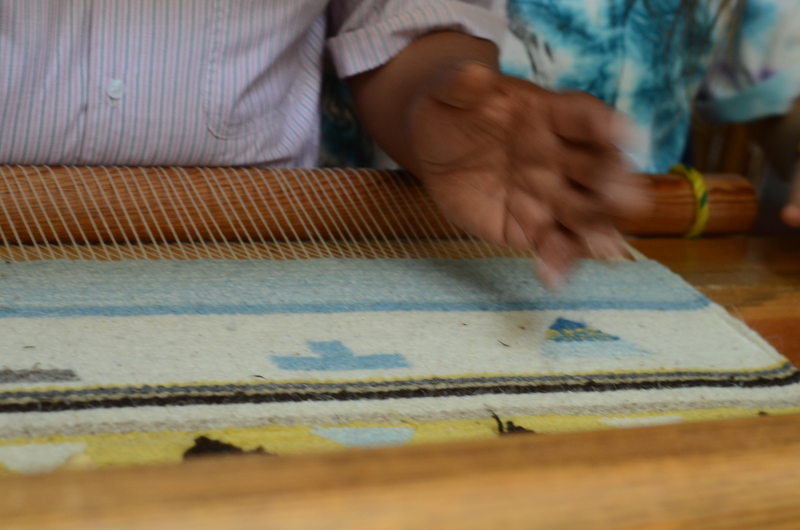 What kind of loom is used for instruction? is it possible to use a treadle loom? I might ,also, sign up for the dyeing workshop in Oaxaca.